Holy moly, these pictures are so dreamy and gorgeous! And the outfits too- of course - I love the idea of wearing oxfords with a skirt! I love wearing my oxfords. I feel so "classic Hollywood" in them. Loving the first look the most! So classy! All three of these looks are beyond adorable! Apparently I need to add a pair of oxfords to my shoe collection! I love these looks! I need to invest in a better pair of oxfords because these are just adorable. You look fabulous as always love! I love the versatility of oxfords I really need to get a pair. So cute! I love oxfords! They remind me of wearing saddle shoes when I was a kid. Yours are adorable. LOVE oxfords! I've never seen that specific pair! LOVE! gorgeous look and these shoes are a must-have, wonderful! I, seriously, would have NEVER looked twice at those shoes, but you completely made them work and look cute! 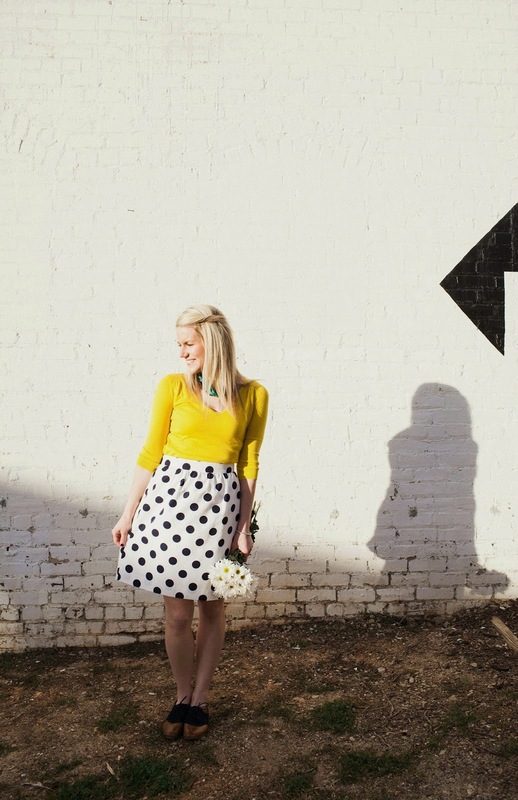 I love the yellow shirt and polka dot skirt! and now i need a pair of oxfords, these are all so cute! 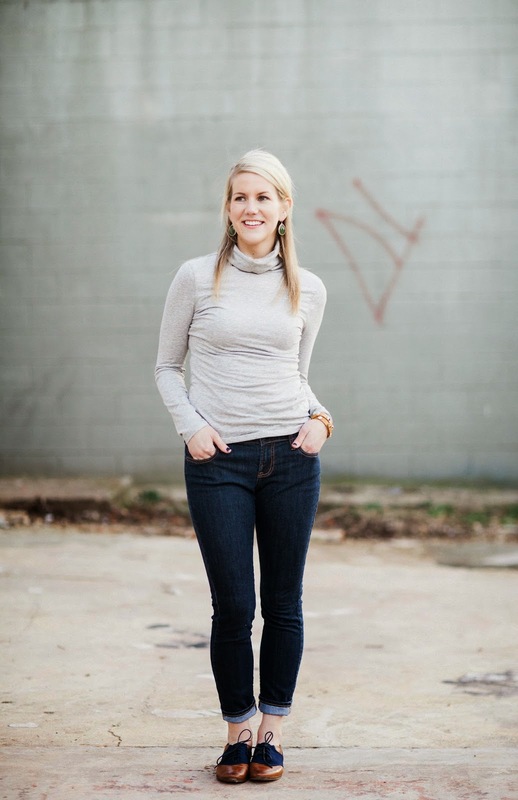 I love how your oxfords are two-toned! All the outfits are so cute but the first one is calling my name! Okay she is amazing!!!! :) these pictures are fantastic!!! You're gorgeous, Ashley! This makes me want to break my oxfords out, and perhaps even purchase the metallic ones I've had my eye in for awhile! Loving that $2 turtleneck, too. Score! These photos are beautiful - Sara really did such a great job! I love the oxfords! I have a gray pair and I wear them all the time - somehow they go with everything!? very cute! i esp love the last outfit! Love this post--and honestly I never would have thought to pair oxfords with a skirt like that--but I LOVE it!! You did a great job with all 3 looks :) And you gotta love the Target clearance rack! These are three really great style inspirations! I think my favorite is with the skirt though. I love mixing menswear and girly in one outfit. :) You look fab! Ashley!!!!!!!!!!!!!!!!!! Oh my word, you look KILLER in all of these looks! Sara did an amazing job....I want all three outfits!! Nailed them all...and these oxfords...I need!!! pinning!! Loving this post Ashley! Have been nervous about incorporating oxfords into my wardrobe but you do it so effortlessly! Such adorable outfits!! 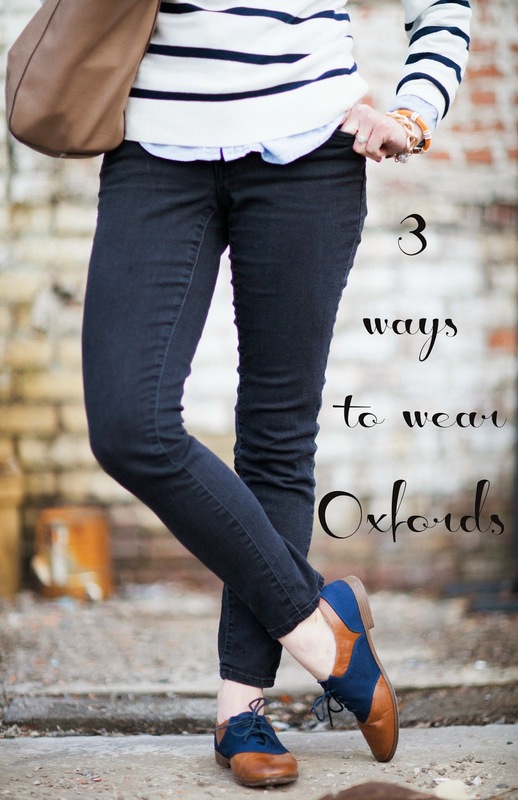 I've really been wanting some oxfords but wasn't sure how I would wear them - this is super helpful!! 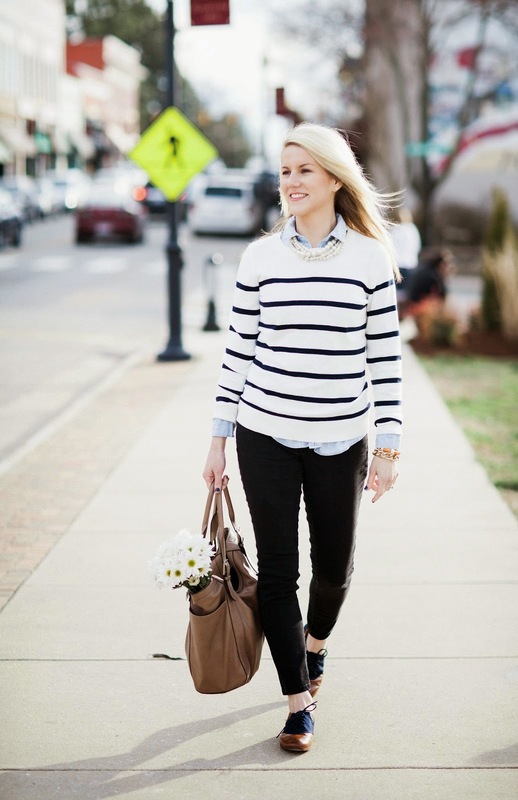 I love the way the oxfords look with the striped shirt!! Gorgeous! All 3 looks are fabulous. I too like oxfords but wasn't sure how to style them. i love love love love your oxfords. i have a pair, they are a bit worn out, so i might need to update mine with these. so adorable. and i could totally see myself wearing the last one. and loving those jeans and your black pants, where they from girl? I really like the oxford style in general. I just bought a pair, but I haven't worn them much because I didn't want to ruin them in the snow! Pretty soon I'll be able to wear them without fear! These shoes are just perfect and I love what you did with them in all three outfits. Like Sara, I would NOT have known what to do with them...but now I want some :)! As soon as I saw the first photo I thought, "man, whoever is doing her photos is getting better and better", lol! Sara did an amazing job taking this shots and I'm too thrilled about it b/c I'm local! Heading to her site now!!! Love that first look! And Sara did a great job! Love how you styled these! You make them look so chic! These are tricky shoes to style, but I love every way that you wore them! Kudos!! I always love your three ways! You look great in all of these! I have this exact pair, I made an IG video for them...because I love them so... really great styling!